These are the latest shots from movies of (some of)my favourite actors. Lindsay Lohan(from 'mean girls'), a HOT ACTRESS for this month, is playing a tortured stripper in "I Know Who Killed Me". She's one of my favorite diva(i consider her as one of the most sexiest hollywood females). I'm eagerly waiting for that movie. And Besides, the adrenaline RAMBO is back in RAMBO IV. He's now too old. I watched his last movie ROCKY BALBOA last year. He was depicted in Playstaion 2 Game within a movie too. 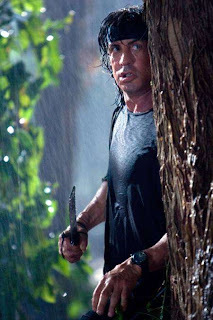 Now, RAMBO IV is coming very soon. 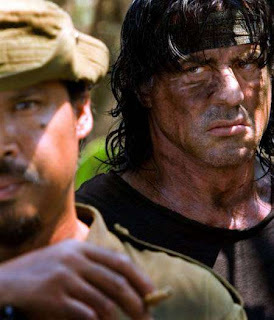 These are the glimpses from his same action packed legacy, RAMBO IV.